In response to learning that several of his Riezman Berger, P.C. 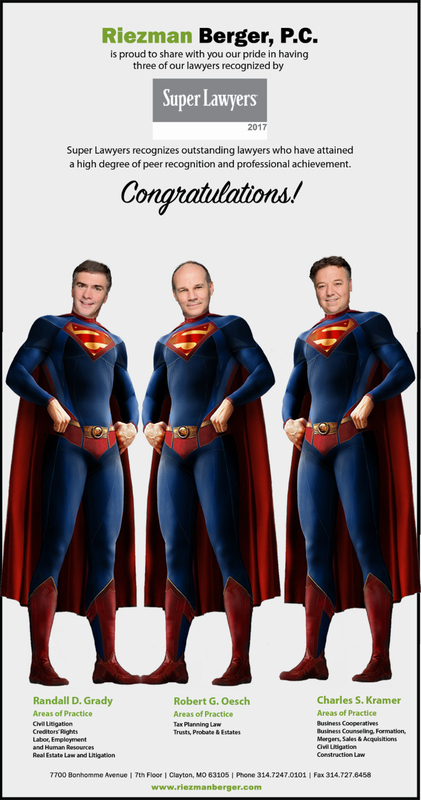 attorneys were recognized by the "Super Lawyers" organization for legal achievement, one creative RB client crafted this humorous homage to their Super Lawyer status. Congratulations Robert Oesch, Randall Grady and Charles Kramer - Super Lawyers 2017!!! !